A pony measuring event in Germany which rapidly descended into controversy has ended up at the centre of a case before the FEI Tribunal. It all arose from a pony showjumping and dressage event held in Hagen on June 12-17 this year. A pony measurement day took place on June 14 and 121 ponies were measured. One of the ponies was Elle Birken, owned by Stefan Morssinkhof and ridden by Skye Morssinkhof. According to the Pony Measurement Verification Form, Elle Birken measured 152.0cm the first time and 151.5cm on the second measurement. The height of 151.5cm with the remark “measured in with tolerance” was recorded by FEI officials, and the pony was allowed to compete at the event. Under FEI regulations, the height of ponies at the withers must not exceed 148.0cm without shoes. However, ponies being measured at FEI events are given a height allowance: their height at the withers must not exceed 150.0cm without shoes or 151.0cm with shoes. The floor was checked with the scale from a mobile phone in different places and at different angles. Between 9am and 5pm a total of 121 ponies were measured (with an additional two withdrawn). There were 17 ponies in the stewarded waiting area for re-measurement one hour later. After one hour, nine ponies were still over 151.0cm. Meanwhile, some protests had reached the Ground Jury over concerns about the surface. A laser-based measuring system was brought in to measure the floor. The maximum difference was recorded at six millimetres and, across the complete diagonal measurement, there was a difference of 1cm over about 4 metres. Officials discussed the matter in a bid to find a solution. Given the 1cm difference across the whole diagonal, it was decided to add 1cm to the 152cm allowed for in the FEI regulations in a bid to avoid legal issues, which meant one of the ponies, Elle Birken, was officially “measured in” at 151.5cm. It transpired that the FEI Veterinary Department decided that officials at the event were incorrect in allowing an additional 1cm tolerance for the pony measurements. No such provision was contained in any of the FEI’s rules and regulations, the department noted. Therefore, Elle Birken, together with eight additional equines registered with the national federations of Sweden, Denmark, the Netherlands and Italy, had in its opinion been “measured out” at the event, despite the “measured in with tolerance” entry in the records. Further complicating the matter, the vet had omitted to sign Elle Birken’s passport entry, although the FEI said it considered this to be an administrative error that should not override FEI regulations. The FEI said that implementing the same rules for everyone was fundamental for the FEI and that was the main reason it annulled the extra allowance height for all ponies that measured over 151.0cm – an allowance wrongly given by officials at the event, it added. On July 3, the FEI wrote to the national federations of Sweden, Italy and the Netherlands in response to a letter from them, stating that the FEI was aware that the conditions at competitions might not be perfect. 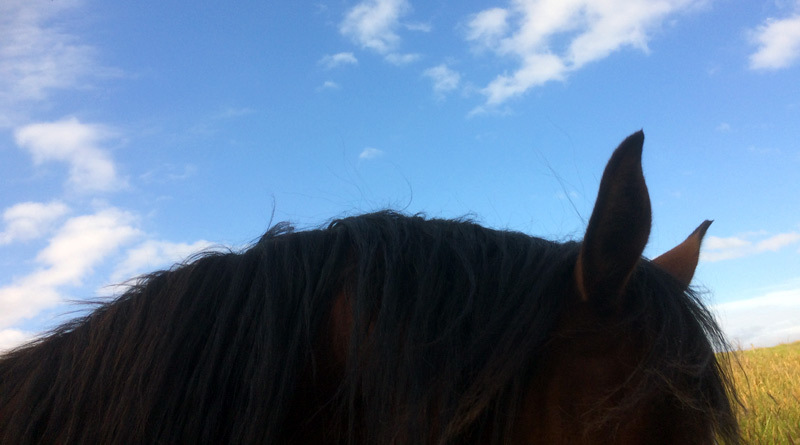 Ponies might be more excited and stressed and the measuring pad might vary by a few millimetres in flatness. The 2cm extra height allowance was there in order to even out such differences in conditions at each competition site. The FEI officials at the event had taken an incorrect decision, the FEI said. Nine days after that letter, the Morssinkhofs filed their appeal. They sought immediate annulment of the decision to declare Elle Birken measured out under the FEI Veterinary Regulations, and asked that the pony be declared eligible to compete at FEI events with immediate effect. Further, they sought 10,000 Swiss francs from the FEI in legal costs. The appellants argued, among other matters, that the FEI Legal Department and the FEI Veterinary Department had infringed rules by disregarding and purporting to overturn a decision of the measuring veterinarians, as well as a decision by the president of the Ground Jury taken in consultation with the veterinary delegate. They further argued that the FEI was acting beyond its powers. The FEI, in its submission, rejected all the appellant’s allegations. Tribunal member Henrik Arle, sitting as a one-member panel, said in his decision that the parties had agreed that the results of pony measurements did not fall under the jurisdiction of the tribunal. Therefore, if a pony was measured at 151.0cm, such a result stood. And so did the 151.5cm recorded for Elle Birken. However, the tribunal did have jurisdiction in regards to the decision of the FEI officials at the event to declare the pony “measured in with tolerance”, as well as jurisdiction over the FEI decision to intervene and declare such a decision incorrect and unlawful. The regulations allowed that ponies can only be declared as either having been “measured in” and permitted to compete, or “measured out”. It did not matter, in the tribunal’s view, whether “measured in with tolerance” was recorded in the pony’s passport or not. The pony, on the evidence, had been measured at 151.5cm. The decision of officials at the event was incorrect and against the relevant rules, the tribunal ruled. It was not a question of interpretation by the officials, but rather an attempt to create a new rule, and beyond the authority of FEI officials. It further ruled that the FEI Veterinary Department and the FEI Legal Department had an obligation to intervene and declare that the decision taken by the event officials with respect to the pony was incorrect and not based on applicable rules. Thus, from the result of the pony measurement, the pony has to be declared as “measured out”. The Morssinkhofs could, the tribunal said, initiate an appeal measurement. The tribunal ruled that no legal costs would be awarded to either party, since the appellants’ reasons to question conflicting decisions taken by different persons and bodies – all in the capacity of FEI representatives – were well founded. Elle Birken was to be considered “measured out”, it ruled, and the Morssinkhofs’ request to declare the pony eligible to compete at FEI events with immediate effect was dismissed. Each party will bear its own legal costs. Is there a laser height measuring device that actually does the measurement more accurate than the manual stick measuring tools? If yes where can I find one? Thanks.